This special performance of choral music celebrating 450 years of British composers will include works by Weelkes, Purcell, Harris, Stanford and Holst amongst others who have left an indelible mark on the musical life of London. London Lyric Opera and the Pinnacle Ensemble look forward to their first collaboration. 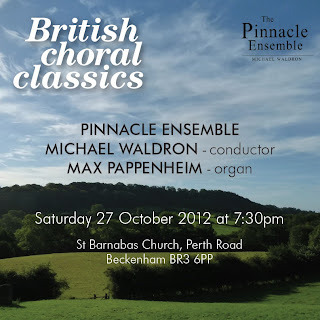 Stunning music sung by an ensemble of exceptional singers with Max Pappenheim, Organ. 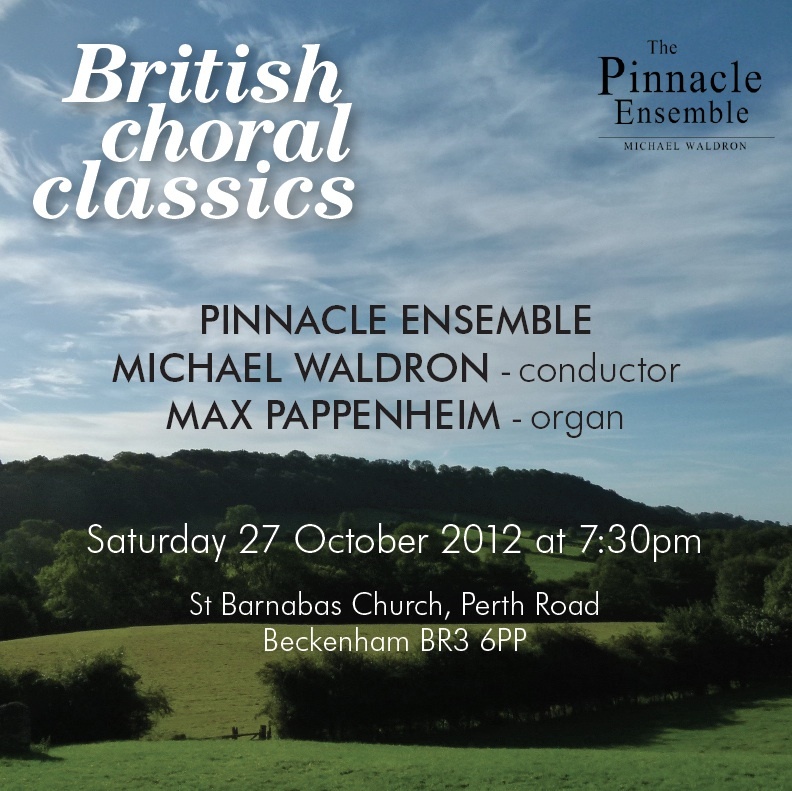 Experience the sounds of the British choral tradition at St Barnabas Church, Beckenham. Tickets from: tickets@pinnacle-ensemble.com or at the door. Book early to avoid disappointment. This will be a very popular concert.